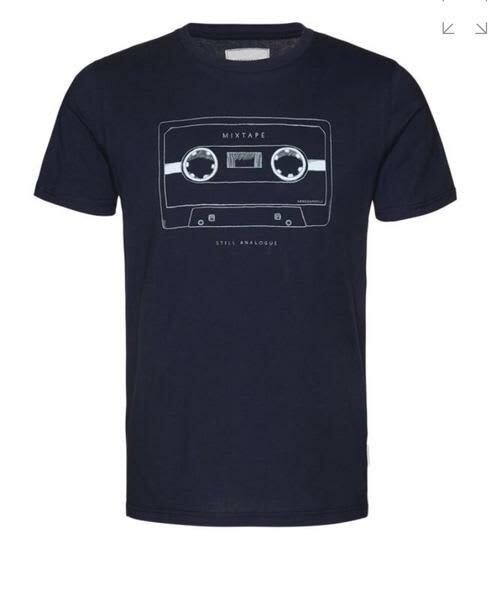 Armedangels James Mix Tape in Navy is an organic T-Shirt with a cassette chest print on the front. Regular fit. Winston's Of York in York, United Kingdom.